If you own either the BMW R nineT, Scrambler, Pure, Racer or Urban G/S motorcycle, you obviously know and understand a little bit about a quality engineered motorcycle. However, even a well-engineered BMW motorcycle requires maintenance, service and repairs from time to time and would it not be best if you could conduct the repairs and service yourself? 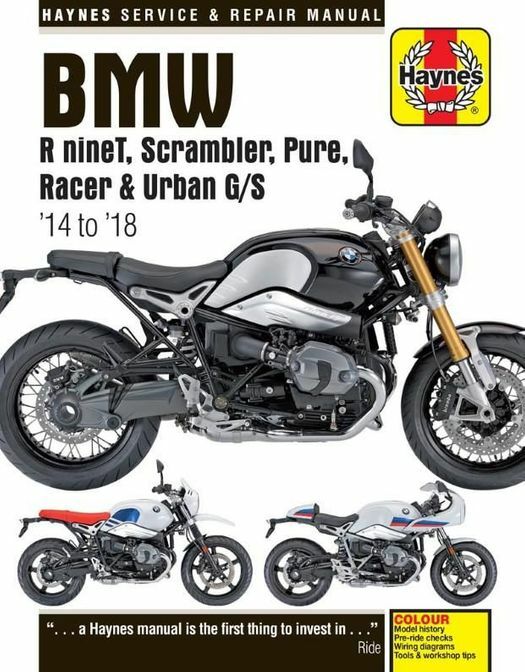 With this Haynes M6402 - BMW R nineT / Scrambler / Pure / Racer / Urban G/S Repair Manual (2014-2018) in your hands, you will be armed with thorough step-by-step procedures and diagrams to achieve ALL repair, service and maintenance projects for your bike - without a doubt! 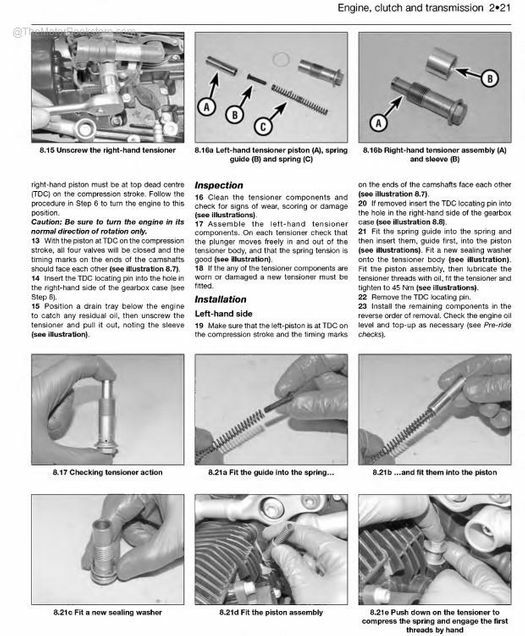 A Haynes BMW Motorcycle service manual is a complete guide providing expert repair and rebuild procedures for the engine, transmission, suspension, brake system, electrical, engine management system and more. 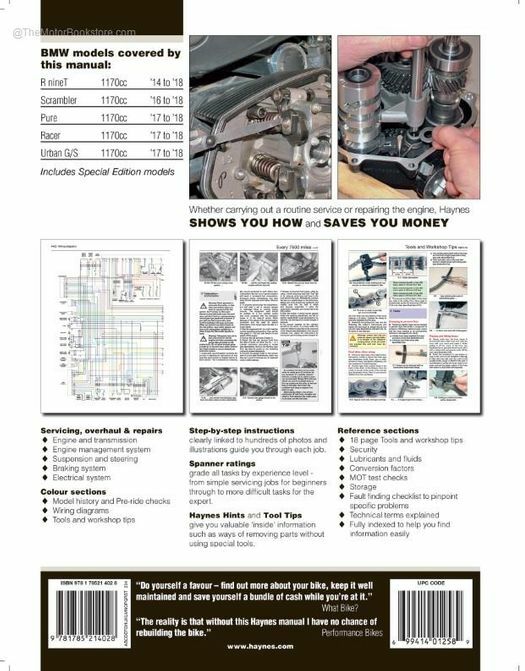 The DIY procedural content is put together by Haynes technicians, photographers and writers that teardown and reassemble the bike models covered so that you can be sure you are getting authoritative advice, tips and strategies to accomplish your repair task. Why spend high dollars taking your BMW motorcycle to the BMW bike mechanic when you can save a great deal of money by doing the work yourself? The Motor Bookstore has been servicing DIY'ers like yourself since 1997. We believe in providing top notch customer service - see our reviews. If you have any questions, please feel free to call our friendly and knowledgeable staff. If we don't know the answer to your DIY literature question, we will do our best to find the answer for you. Refer to the Table of Contents tab to learn more about this book's contents and organization. 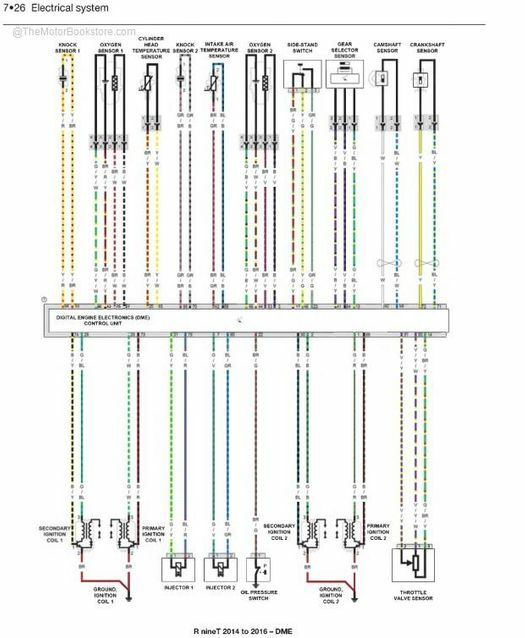 Ask a question about 2014-2018 BMW R nineT, Scrambler, Pure, Racer Repair Manual.